Reading is a gateway through which children can explore and engage with the words on a page, as well as advance skills that are essential to school success and development. Your child has worked hard all school year to achieve his or her current literacy levels. Finding ways to encourage your children to read throughout the summer allows them to maintain their skills and be ready for the upcoming school year! There are many benefits to reading beyond knowledge gain. Reading allows children to be exposed to new vocabulary that they may not otherwise hear in daily life. 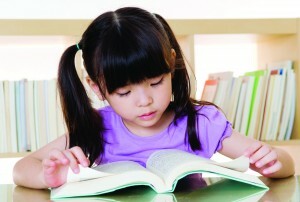 Reading for just 15 minutes a day has the potential to expose a child to 1,000000 words in a year! Compared to reading one minute each day, a child may only be introduced to 8,000 words in a year. A common misconception is that cognitive ability is predetermined, but this is not true. Research has shown that reading promotes brain development and increases cognitive ability, leading to greater academic success and the possibility of acquiring a higher education. So, what can you do to influence your child’s love of reading, and boost all of the above skills? You can piece together your own reading routines from some of the ideas and strategies below. Reading is more than sounding out the words on a page. It is an educational escape to a reality outside of one’s own world. Reading fosters the ability to interact with a new emotion, a new perspective, and may even spark new curiosity. So how can you help enhance your child’s experience of reading? Asking these questions will increase your child’s comprehension of the text. I hope I have spurred some of you into action, and you’re now planning what to do with the next piece of reading material you child happens to pass by. 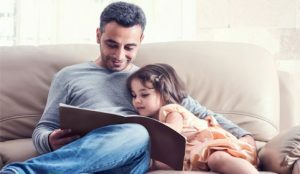 It is up to you, as a parent or caregiver, to influence and nourish your child’s reading habits. Explore the words, make it fun, and enjoy watching your child develop all of his or her fantastic reading skills. We understand you want fast access to information and services. To get started, complete our Request More Information form online here or call 1.866.653.2397. One of our friendly team members will be happy to help you.